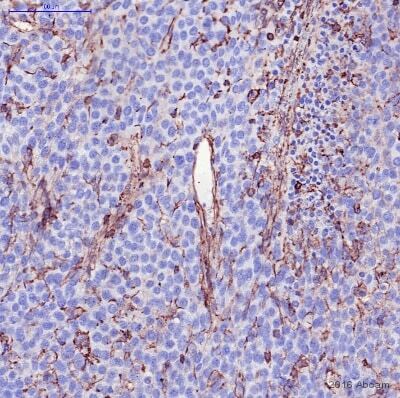 I have trouble to get a specific signal with this antibody doing immunohistochemistry. 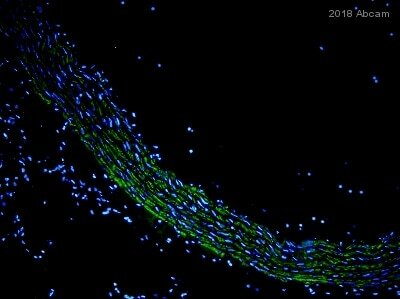 My negative control is tissue from a CCR7 knock out and I get signal even after using 1/5000 dilution. 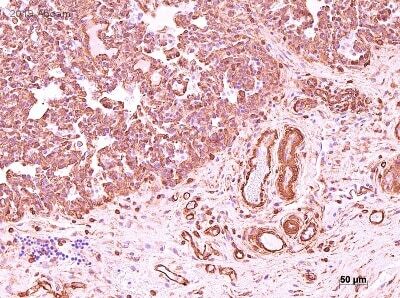 Have you tested tissue from CCR7 knock out to check for specificity? 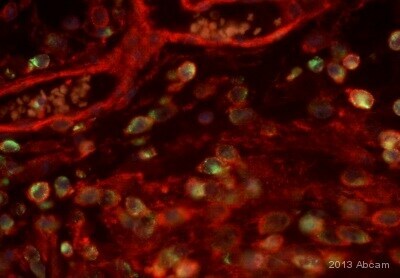 1) Are you seeing identical staining between your knockout samples and the wild type samples? 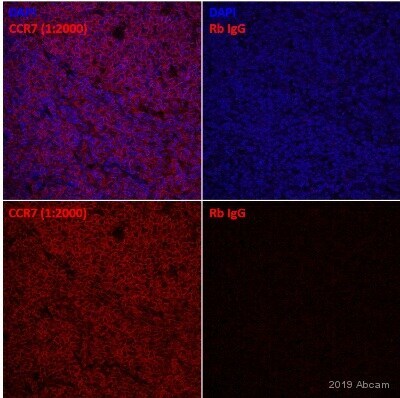 Have you tried a no primary control (staining with only the secondary antibody) or an isotype control (using rabbit serum instead of the primary antibody) to confirm that the primary is binding non-specifically? Could you provide any images of the results? 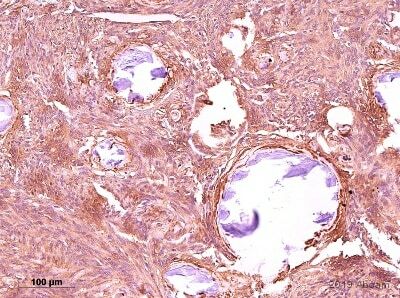 2) What kind of tissue are you staining? How is it fixed and processed prior to staining? 3) What kind of antigen retrieval do you perform? 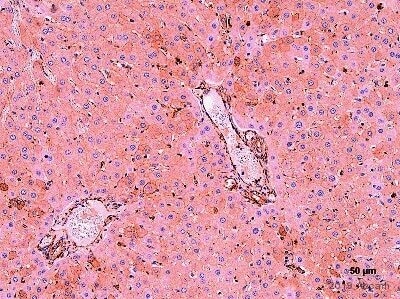 4) What kind of blocking solution and secondary antibody is used? 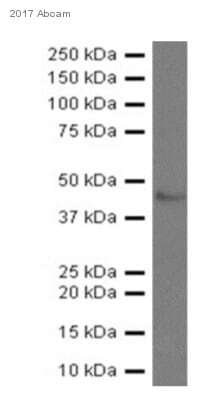 5) Do you have your order or lot number for this antibody? I look forward to hearing from you. 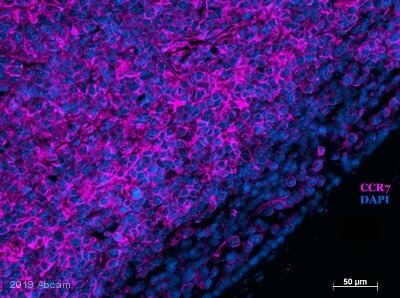 We do guarantee the results of this antibody in IHC on paraffin-embedded tissue from the species listed on the datasheet, so if you would like I'd be happy to send a replacement antibody or issue a credit or refund. Please let me know if you have any questions or if there is anything else that we can do for you, and I'll be happy to help.